There is so much that can be learned from other online bloggers and internet marketers, you may be wondering which way to turn next, but remember that these people were once in your shoes. Once upon a time they did not know where to go with their site, a long time ago they were just starting out (just like you are now possibly?) and they too had to come up with new content that inspired their readers and made their sites rise above the rest on the internet. This article should be fodder for your mind, take a look at these other sites and get creative. Think about how they are structured, what sort of content they use and how they speak to their readers. A lot of the time just looking at other examples can really resonate inside you and make for an interesting development on your own part. There really is nothing like biting into a juicy, successful website and taking away the best bits for you to chew on. Look at how these sites monetize things, do they use banners, affiliate links or paid surveys? Think about how you can incorporate any of these into your own website or blog, which do you think will work the best, which do you think will look the best?It’s all about trial and error sometimes, so just see what takes your fancy. You see this is an article to make you realize that there really is so much opportunity out there, there are tons of new ventures awaiting you and all you need to do is look further than your own back yard so to speak. So take a look at the list below, vist the sites that you find interesting and then go through them a little, spend some time in each one and look how other bloggers are working within their own websites. Then go away and apply some of the things you have seen or learned. Doing tasks like this early when I started really pushed me forward, and you are now reading this because of all that effort I put into it in the beginning. Now it is your turn so go ahead and take a look, grab a coffee and take some time doing it too and most importantly take some notes! How They Monetize: Google Adsense, Affiliate Links. Content Style: Magazine style Blog. Why They Are Successful: Great Site Layout, Passionate Writing. For most Mountain Biking enthusiasts the day ends once their bikes have been carefully cleaned-up ready to ride another day, however for serial blogger Robb Sutton this is not the case. Robb has managed to create quite a well-known name for himself through his Mountain Biking website Bike198.com. Through his passionate writings and his love for the sport, Robb has managed to gain the interest of thousands of other enthusiasts the world over, but how does he make his money from his blog? Well for a start Robb has placed a number of very enticing flash-based banner ads across his site in order to entice the unknowing readers, they are all of good quality and none of them ruin the style or feel of the site. On top of this he has also been able to monetize advertising space through Google Adsense, using high quality images instead of the bland text-based links. Whilst on the site you never really notice that these are advertisements and just feel as though they are part of the site; which is certainly the workmanship of a skilled blogger. Content Style: Magazine Blog Style. Many of you may know psd.tutsplus.com and those of you who don’t will more than likely be eager to head over there soon. The site was created by Collis Ta’eed after he bought the site for $1200, and although that may sound like peanuts for Collis at the time this was a very hefty sum of money. Collis decided to recreate the entire website and branded it to his own specifications. The site is now very well-known and is a great place for people who want to learn some insider tricks and tips for Photoshop. Since the site was relaunched Collis and his team have managed to completely monetize the whole site by adding high quality adverts in the sidebar as well as selling a unique membership area for premium content. When it comes to building blogs Collis and the Envato team definitely know their stuff and they have managed to use affiliate programs to keep their readers on their own Envato branded websites such as ThemeForest and VectorTuts. This is a great example of exactly how to monetize a blog. How They Monetize: Google Adsense, Premium Content. Why They Are Successful: His teachings are easy to follow and written brilliantly. Timothy Sykes is an entrepreneur that likes to shout about how he makes his money and he loves to help others do the same. On his blog you will find articles and products that will help you in your own quest to become successful online through the penny stock markets. Now this is a complex topic for such a short post so I won’t go into what he actually teaches you apart from to say that he definitely knows a thing or two about making money. With his blog Timothy has managed to create some great content that keeps his readers coming back daily for more of the same; but how does he monetize his site? To monetize his blog Timothy has created some great premium content which he sells through a membership area on his site, as well as this he also sells educational DVD’s to help you get a head start. Finally to top it off he has added a few choice advertisements through Google Adsense. A different but very interesting technique. How They Monetize: Google Adsense, Banner Advertisements. Content Style: Regular Car Reviews And Articles. Why They Are Successful: The Content Is Fresh And Honest. CarAdvice.com.au is a site you may not be familiar with, but it is another good example of how you can monetize a blog; especially if you take time to perfect it. This site is quite simple which is a credit to the designer as it doesn’t feel cluttered or clumsy; this helps with the monetization because everything fits nicely into place without having ugly advertisements plastered everywhere. The site uses clever placement of banner ads and Google Adsense with high quality images and non-intrusive text-based links. Going through the different pages you can see that someone has taken the time to perfect the design and layout and I’m certain this is a winning formula for the website owner. Nicely done. Industry: Gadgets and Electronic Devices. How They Monetize: Banner Ads, Affiliate Links. Content Style: Regular Gadget Based Reviews And Articles. Why They Are Successful: The site is vibrant and unbiased. Coolest-Gadgets.com, in terms of layout and design is nothing spectacular compared to some on this list; however the use of vibrant colours and the intuitive navigation system they use make it easy for readers to know where they are and where they can go to next. I like the way that the colours all have an uplifting feel to them, there are no drab black or greys to be seen which is quite refreshing considering the trend of dark themes a lot of sites seem to have accommodated in recent months. In terms of monetization the site has naturally gone for a gadget-styled look, offering flash-based banner advertisements to lure its readers. The images are all of a high quality and there’s nothing that’s typically annoying; like the pop-up advertisements of the past. The site also makes use of affiliate links, a very clever practice given the industry this is based upon; there are surely thousands of affiliate programs for this scene and so the site should always be able to find some sort of money-making affiliate for them to use. A clever website – although the banner on the home-page could possibly do with slowing down a little. Chris McCombs at first glance may seem like a scary biker, and in a way he is, but he is also an inspirational entrepreneur who spent time in jail after making a few mistakes for which he well and truly made up for. The website just works, not only because the design has been done in a professional way but because he just tells everything like it is. Chris has managed to monetize the site through creating some prime content behind a members only area, selling this premium content has brought him masses of income not to mention very loyal readers. Chris also employs banner advertising to aid him with his monetization and from the looks and feel of the website I would have to say that he is doing a fine job with it too! SmashingMagazine.com is a site you are probably familiar with one way or another, if you haven’t visited the site then the chances are you have still definitely heard of them. The site offers creative souls the chance to follow along to their tutorials, read their advice and gain inspiration from their very regular updates. The site does a lot of advertising in the form of banner ads all of which are connected directly to the industry in which they are based (always a very sensible idea). This is pretty much all they do in terms of monetization but when you look at the amount of pages, categories and posts they have it is easy to see why they do not really need much else. The site offers tonnes of freebies too which drives visitors there everyday. This is a very cool site if you are feeling a bit down in the inspiration department. Content Style: Regular Entrepreneurship Articles and Interviews. Why They Are Successful: Daily Updates, Great Writing Styles And Lots Of Good Interviews. Mixergy is a great place to stop by, should you ever want to get some inspiration or teachings for business and business start-ups. The site is literally crawling with good articles based around the life and times of the entrepreneurs of today. The site itself is quite minimalistic and fresh which is great, and the monetization is somewhat stealthy in their approach towards it. All you will find on the home-page regarding monetization are a few choice (very small) high quality banners. Which may not sound all that great but when you read their posts you will soon see why they don’t clutter the pages with large advertisements. Andrew Warner has been very careful upon selecting his monetization format and by doing so he has made it very easy for readers to be enticed by the ads that are evident. Each time a post or page is written any affiliate link they need to add is added at the bottom of the page in the form of a few sentences. They are also very upfront with what they are too. This is a money-making goldmine. How They Monetize: Affiliate Links, Banner Ads. Content Style: Regular Video Posts And Reviews. Why They Are Successful: Great layout, Honest Opinions Great Content. It’s pretty obvious that most of you will, by now, know who Gary Vaynerchuck is; a pro-blogger with an expensive taste for wine. The site is a nice minimal and classy website which seems to cater for the upper-class readers; however no-one is particularly alienated due to the nature of his video blogs which is something too many website neglect. The monetization of the site is somewhat subtle with only a few banner ads in sight, although the site does sell wine through affiliates as well as premium content via their membership accounts. You can choose from three different accounts with prices that are acceptably fair considering what you receive. If you are a fan of wine and blogging then you should try this site out to see if you will be the next member on their list! How They Monetize: Shopping Cart, Amazon Affiliate Links And Sales . Content Style: Regular Hedonistic Articles. Why They Are Successful: Simple Design, Opinionated And Brutally Honest Content. TuckerMax.com is all about Tucker, if you manage to head over to his blog you will see that he is basically branding himself in a pretty bad light, which is brilliant because everyone loves a bad-boy right? Tucker’s anti-hero status has received such a high readership with some very loyal fans; so much so that he has even had one of his books recreated as a movie (although it is not one I am very familiar with). He has managed to monetize his site by selling his own brand of products through a shopping cart as well as through Amazon.com and so far it looks as though he is reaping the benefits massively. His books, which are basically around the topic of being a very independent hedonist have become widely popular which help readers to return to his site; which he then turns into customers all over again. A very clever site and man. Taylor Allan is one of the best Basketball mentors in the game to date, and this shows through his blog. He has helped many Basketball players smash through their plateau which is no mean feat. He regularly posts articles and videos on his site to keep it fresh and energised and this brings a great deal of traffic his way. Unlike many others on this list Taylor has opted to go for a Squeeze box advertisement to help lure his readers in. Opting-in brings to you, a very informative ebook which can help further your skills. His main monetization comes from the self-branding he has created both on and offline and his comments from loyal readers often bring in more custom for him. This is a very clever man who has managed to make the online world of marketing work for him, offline. How They Monetize: Banner Boxes And Banners, Premium Content And Services. VandelayDesign.com is a very feature rich site which offers a lot more than originally meets the eye. The site is fairly standard in its layout and design; however the content is something to be admired as they always manage to pick out the best articles to write. There are a lot of tutorials and give-away goods too which no doubt attracts a large amount of visitors each day. The monetization of the site comes from a couple of areas within Vandelay, firstly there are the banner boxes which are all of a high quality and are directly related to the content niche in some way or form. On top of this they offer a members only area for premium content as well as a services page where they provide web design and consultations. This is not only a very intuitive, informative and niche specific blog, it is also very clever in its money-making abilities. Content Style: Humorous And Serious Articles And Photography. Why They Are Successful: Brilliantly Honest Writing Style, Fresh Design, Winning Personality. Dooce is a site I have mentioned in the post but I wanted to bring it up again because it has just caught my eye whilst researching for this post. The website itself is the creation of Heather Armstrong, a very humorous yet serious family woman. Her writing skills take the edge off some of her more serious topics and she seems to really enjoy and embrace life and its minor defects. The site uses PPC links and image banners in order to monetize it effectively and Dooce is certainly an effective blog when it comes to making money. The fact that the advertisements are part and parcel of the site is great because it does not take away from the blog in the slightest. Heather is a very clever woman and I expect we shall see and hear more from her in the near future. TalkingPointsMemo.com is a website that offers news and reports to its ever-expanding readership base. The overall design is something very similar to what you might see on the front page of any daily tabloid newspaper and so encompasses its niche very nicely. The site makes most of its money through PPC advertisements which it allows within the content of the site. There are also banner ads that seem to be a form of monetization that they have and possibly will always use, and if it works for them then that is great. The site has some really good content and it is nice to see the news in a form other than the biased or restricted views of the tabloid newspapers and television programmes. Why They Are Successful: Useful Content, Minimal Design And Good Writing. LifeHacker.com is a fairly well-known online publication which is based upon the lifestyle niche. The site offers an array of items from home tutorials, DIY and even cooking, right up to computing and gadgets. The fresh and minimalistic appeal of the site adds to its attraction and the site has some very good writers. The Blog is updated very frequently and uses banner adverts as well as affiliate links within its articles which is great for monetization. The affiliate links are hidden within reviews and articles which means a stealthy but natural progression for the reader to take. This is a nice site which has a lot to offer. It’s worth taking a little look. Why They Are Successful: Their Wide Range Of Topics Which Brings A Lot Of Varied Traffic. VentureBeat.com is a great website if you ever get the chance to take a look, it offers a very wide selection of topics to read about and the content is always very appealing. Founder of the site Matthew Marshall was is a very highly regarded writer; who was once named as the ‘Journalist of the year’ by the Northern California Society of Professional Journalists. The website has a lot of monetization involved, with banner ads and affiliate links embedded within the content, all of them specific to the niche of the websote. This site is not only very good at adding brilliant content it is also great at making money. Content Style: A Magazine Style Blog Offering A Lot Of Tech-related News Content. Mashable.com, it had to be added right? At the moment Mashable has got to be one of the most talked about websites of the moment. Although this is not your typical blog it is still a site in the format of a magazine type blog, it also makes a lot of money so I thought I would add it to the mix. The site offers some incredible content, often giving out breaking technology-news and scoops. The site is renowned for its quickly updated content and it’s feature rich environment. The site offers plenty in terms of monetization too, with banner and box advertisements. The way in which the advertisements are placed on the site do not really do the site much justice as they could be a little smaller but when viewing the articles they do not seem to interfere with you all that much. This is a website that started out very small and has become very large, in a short space of time. If you haven’t already checked out the site you should do that soon; if only to check out what all the fuss is about. Once you find that avenue to take whether its adsence of selling ads..just be patient and work your marketing skills…once traffic gets to going..then you will be on top of the world of having full time income.. I agree with you Eric, if you’re willing to work by putting both time and effort you can make some serious money and set up some great passive income sources. Great post Michael! Often times I find that these lists are inspirational and motivational. But only if there were some numbers about the past year’s earnings of these blogs, it would have been a lot more better. HeY i really admire the tuts website..their layout is awesome n the articles is superb..
Michael, I love the way you put this post together, and your opening was brilliant and very true! It comes at a good time for me, since I have been meaning to do some research into a few more power bloggers and how they are doing things. Thanks for saving me a lot of effort. Great examples of people who are making money successfully online. A lot of people talk about it, but not a lot of people can do it. 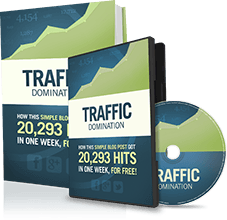 I think anyone who wants to make their living online should do some study of these sites to see the kind of traffic it takes and content it takes to stand out and start dominating in a particular niche. This is really awesome! Great blogs with great styles 🙂 I guess Google banner ad works fine! Provided its blend with the theme. There are numerous ways to monetize a site but one have to find the monetization method that works fine! Thanks so much for sharing. Fantastic and truly inspirational blogging. No wonder you’re so successfully! Tremendous list Micheal! I have learned so much from other bloggers recently that im ready to roll! You have to learn from the best in the game! Wow, a lot of awesome examples spread out over different industries. You should have included your blog as #18! Great Post Michael! I saw a lot of similarities in monetizing which I have put off of implementing on my blog. Wow, awesome post mike. Most people don’t know how to start make money online. It takes a lot of patience and dedication to make money. I like how to specifically say the method they use for monetizing their websites which other writers won’t do. very inspirational, how much they are earning, is it possible to know that and how much time they spend on blogging? My favorite blog on this list is Chris McCombs. I’ve been following Chris and have been buying his stuff for the last 2 years. His blog and products have totally improved my business and my family’s life. I hope to one day have a following and impact on my niche. Hi Michael! Thanks for this nice post! From this article, I know that the website layout is one of the main things when we talking about make money blogging. I should put more effort on it. Outstanding mesh of some common, and some not-so-common blogs, Michael. Thanks for the great article/blog post. Having studied various blogs thoroughly, this list could be easily expanded to 100 or 500 entries…great job, nonetheless. Great advice Michael, as always. People who look at what currently exists and think “it’s already done so why bother” have already failed. Success begins with your thought process and you will never succeed without believing that you can first. It is inspiring to see so many people making money blogging. And we can learn from each of them. Having a web presence, getting visitors, then selling something is what it is all about. This is a great example showing how many different niches out there and the vast opportunities for making money online. It’s pretty inspiring. I would however, reconsider psdtuts.com, yes its a good example but its just a tiny tiny portion of Envato..you can’t really talk about it exclusively. Is there a way to know how much money those blogs are making? Whole bunch of inspirational sites !! Makes me feel like if all these people can do it, why not me? Thanks for this post Michael…great information and very inspirational to someone starting out, such as me.